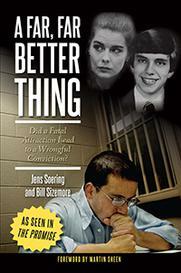 ALBEMARLE COUNTY, Va. (CBS19 NEWS) -- Virginia Governor Ralph Northam (D) still will not say if he will pardon Jens Soering, the former University of Virginia student convicted of murdering his then-girlfriend's parents in the 1980s. Soering and Elizabeth Haysom were arrested in 1986 for the murders of Nancy and Derek Haysom in Bedford County. Soering initially confessed to the crime, but later recanted because he said he was trying to protect Haysom. 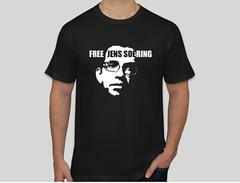 Since his conviction, Soering has asked for parole 13 times, which has been denied each time, the latest one in February. Several experts have questioned his conviction, including Albemarle County Sheriff Chip Harding. New evidence was revealed in April showing blood found at the scene of the crime did not match Soering's. Northam said he will stand by the parole board's decision. "We have a good parole board, and I have a lot of confidence in what they do," said Northam. "They're going to be looking at that, it has been looked at in the past, and we're going to be looking at it." "I will stand behind their judgment in that particular case," he added. Soering petitioned former Governor Terry McAuliffe's office for a pardon, but he made no decision.